We’re thinking specs similar to that of the iPad 2 will do just fine! A faster processor, more RAM, and more graphics power will only help the iPhone 5 to stand out that much more from the competition. While we’re at it, let’s boost the quality of the cameras, add in more storage, and enhance the battery as well. With this kind of extra hardware, we’re bound to see many more advanced apps pop up in the App Store. Likelihood of this happening? High. With virtually every new product Apple release, we can expect to see some kind of performance boost. The iPhone 5 should be no different. Near Field Communication (NFC) is a new technology to cell phones. It allows users to easily transfer information wirelessly when in close proximity to a NFC sensor. This could be especially useful for everything from “checking in” on social media sites to unlocking the secure door at work to paying for dinner with an app from Visa or American Express. Imagine not having to carry a wallet around any more simply because your phone can serve its main purpose digitally! Likelihood of this happening? It’s hard to say. It has been rumored that the next iPhone will include NFC, but it has also be rumored that it wont. Only time will tell. One of the biggest limitations of any smartphone is the battery. Those of us that use our phone constantly know that even with the best battery available, it can be hard to make it through a day without plugging in. We’d love to see a wireless charging dock for the iPhone 5 that allows us to simply set the phone down on a pad to charge it. In between use at our desk, we would be charging our phone without even thinking about it! Likelihood of this happening? Unfortunately, not that great. The rumor mill hasn’t turned out any hard details regarding anything like this. Additionally, you’d still need to plug in when transferring data at this point so it’s hard to imagine Apple adding a feature that only duplicates an existing (and still necessary) process. As we store more and more important (and sensitive) information on our phones, adding an extra level of security would be a welcome feature. Adding some sort of biometric security measure, whether it is facial recognition, voice recognition, or a fingerprint scanner, would go a long way in making our phones more secure. Imagine losing your iPhone with NFC capabilities – now you’ve lost your phone and your wallet! Sure, passwords are secure, but biometric recognition is secure and convenient! Likelihood of this happening? Unlikely. As with wireless charging, this is a feature that has not been mentioned in any of the big rumors. It certainly makes sense to add it, but knowing Apple they would only do so if technology is up to their high standards. Our wish list for iOS 5 could be an entirely new post! However, in the interest of brevity we’ll highlight our two main requests. First, we’d like a better notification system. The current system doesn’t handle multiple notifications well, and with more and more apps using them, Apple needs to do something to improve the system. We’d also love to see widgets. While Apple does a lot of things very well, this is an area in which they need to play catch-up with Android. Widgets on iOS could open up huge potential for increased productivity. Including these two features in iOS 5 would go a long way in making the iPhone a true business-class device! Likelihood of this happening? 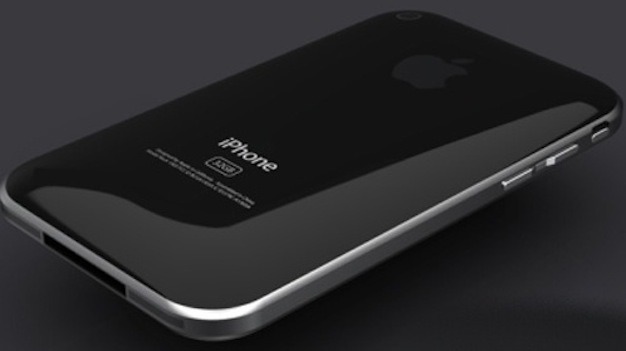 We will almost certainly see iOS 5 around the same time as the iPhone 5. Whether or not it includes the above features remains to be seen. The most likely feature we’ll see is an improved notification system. Apple is well aware of the limitations of their current system and is likely taking a serious look at improving them. Now that you’ve read ours, what features do your iPhone 5 wish lists include? Let us know in the comments! This entry was posted in Mobile Productivity and tagged apple, iphone 5, rumors, wish list by David. Bookmark the permalink.